"I buy all of my tea from Twelve Winds Tea Company. I prefer green teas, and Paula's are of the highest quality possible. I routinely buy Dragon Well Green Tea and Pumpkin Seed Green Tea. Jasmine Dragon Pearl is my absolute favorite green tea, as well as my daughter's. Twelve Winds Teas are always fresh, and it's just plain better than tea bags. 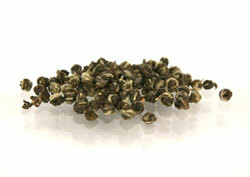 Paula's products are always reasonably priced and superior to other teas." China sets the standard for handcrafted and pan-fired green teas. Hundreds of styles of green teas come from China. It is said you can taste the culture in the cup. 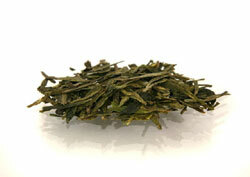 Green teas and white teas are not oxidized like black teas. Oxidation is the process where the enzymes in the leaves are exposed to air after the cell structure is broken, turning starches into sugars. The liquor is yellow to yellow- green with a fresh vegetal aroma with many delicate nuances like hints of peach or smoke. Twelve Winds Tea Company green teas come from the Zhejiang (Hangzhou), Henan, and Fujian Provinces. This tea is rolled into tight balls to preserve its aromatic surprise. 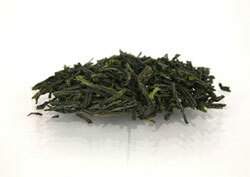 This best selling tea is smooth and sweet with a lingering floral fragrance. This is another of China's top 10 favorite teas. This tea has a full thick, viscous mouth feel and taste. It steeps a deep yellow liquor. This is one of China's ten most favorite teas and was once a tribute tea to the Emperor. This tea has a delicate toasty, nutty/chestnut aroma with a lingering aftertaste. It steeps a pale yellow liquor.